Remember how I told you guys that Leo used to be extremely TV phobic, but then it got a little bit better, and then it got so much better that we were actually able to have regular family movie nights? Well, guess what? At some point during the holiday season, when we had watched our umpteeth Christmas movie, this educator-mom started to feel a wee bit guilty about the increasing screen time. I didn’t want to stop the screen time entirely, in fact, I have been thoroughly enjoying it. 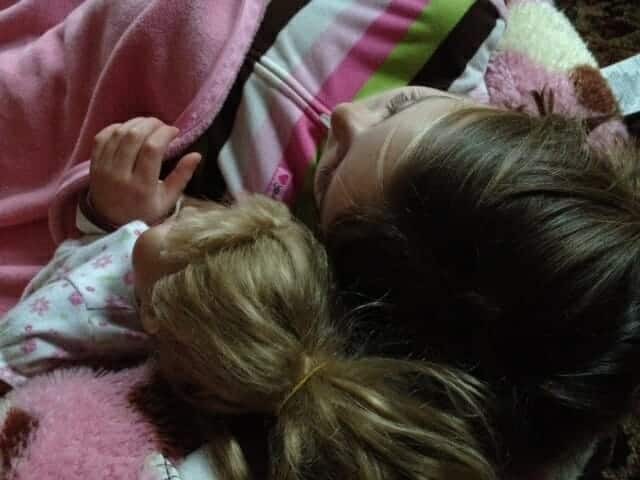 I’ve always been someone to select a book over a television show but I had always imagined having regular movie nights, complete with snuggling and popcorn, with my little family. The fact that we haven’t been able to do so up until very recently was a bit of a bummer. Still, I feel like we went from nothing to quite a bit in short time. Then it occurred to me that I could make movie night part of our homeschool. 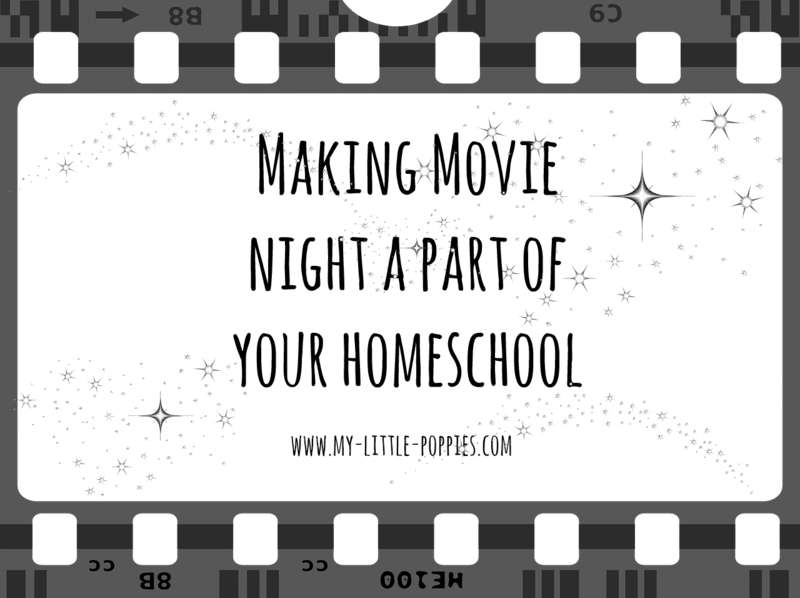 What if I approached movie night the way I approach read alouds? Like many parents and educators, when I am about to sit down to read with my children, I point out the title, author, and illustrator. We identify whether the book is fiction or nonfiction, and we also discuss genre. We’ll explore the cover together and discuss what we think the book might be about and why. As I read, I will periodically pause to ask the children questions about the characters, the plot, the setting, etc. I’ll ask them to predict what might happen at certain points. I’ll ask what they think the characters might be feeling. At the end, we talk about the conclusion. We talk about what would happen if the book ended differently. Reading books is a conversation in our family and it occurred to me this month that we could do the same with movies. Instead of just blindly throwing a movie in, making popcorn, and snuggling, we could turn movie night into a conversation. Snuggling with Linda, watching a movie. And then I thought: How fun would it be to have the kid who used to be terrified of television do some film critiques? I asked Leo if he would be interested and he was game. So, I took to Pinterest where I found oodles of free printables. 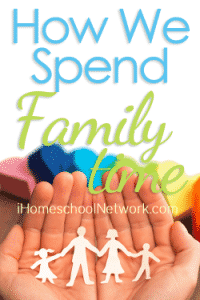 Don’t you guys just love the world of Pinterest for homeschooling? Follow My Little Poppies’s board Family Movie Night! on Pinterest. 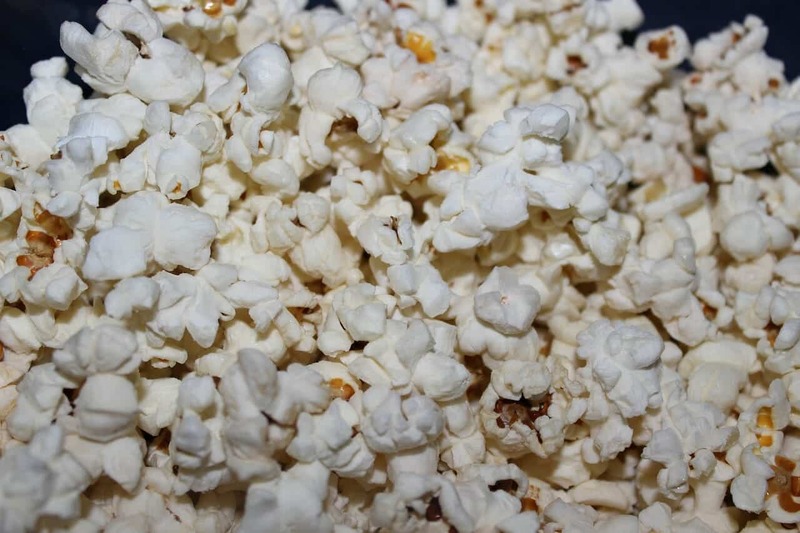 So now, when we have a movie night, we do the whole snuggling-under-cozy-blankets-with-popcorn-thing, but we also talk about it all: genre, characters, setting, plot, use of music, prediction/foreshadowing, how the movie makes us feel, and resolution. At the end of the movie, we rate it and say why, and then my littlest two poppies draw a sketch from the movie while Leo fills out one of the Pinterest printables- we’ve tried a few so far and he’s enjoying the process. After a bit, we plan to combine all of them into his very own book of movie review- mostly because we love books and crafts and laminating things. I’m feeling a whole lot less guilty about our screen time now, folks. Clearly I’m not the first person in the world to think of this idea. 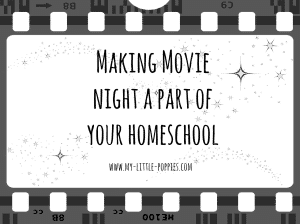 I need only to hop over to Pinterest for a printable to see that other homeschoolers and parents are doing this already, but I thought I’d share how our movie night has evolved in case there are others out there grappling with screen time guilt like this mama. Bring on the popcorn! Tell me, folks, how do you approach movie night in your home? Do you have any fun traditions? Do you critique movies as a family? Share your stories and tips here! Books and movies are like apples and oranges. They both are fruit, but taste completely different.